The wheelbase of the truck is 152''. The tread on the front tires are 17/32 and the tread on the rear tires are 15/32. The bed of the truck is 11' long by 7'7'' wide. The overall height of the truck is 11'6''. The front GVWR is 7000lbs. The rear GVWR is 13,500lbs. The total GVWR is 19,500lbs. Cab to axle is 89''. Carfax shows this truck is a one owner vehicle with no accidents. This truck comes with a 90 day warranty. Extended warranties are also available. 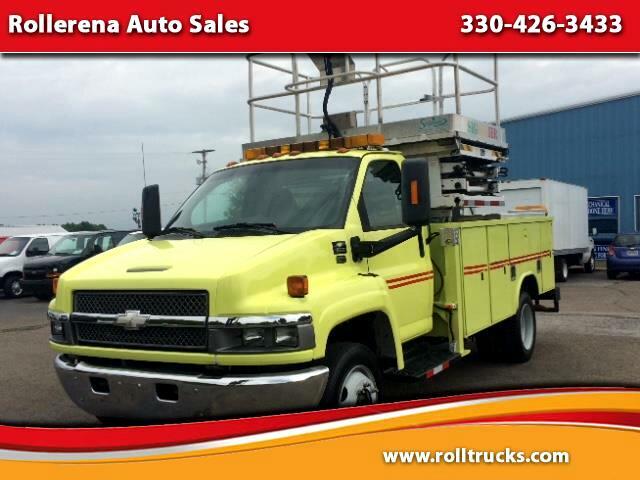 Message: Thought you might be interested in this 2003 Chevrolet C5500.